The Unique Learning System® Student Login feature gives students independent access to Student View within the classroom setting. Students can use Student Login to interact with lessons and activities at their differentiated level and accessibility settings. Student Login is intended to be used in a teacher-led fashion on the devices and workstations used within the classroom. Although this may include student-owned devices, a teacher must be available to configure Student View to grant access. The schedule and materials set through Teacher Dashboard will automatically sync to Student View in the order that the student should complete each activity for that day. Plus, student daily performance will be tracked through student view in a future update in early 2019! Students must be added to My Students. A current Profile must be completed on the student. Student view configurations must be completed for the student. A login method must be set up. Three login settings are available to accommodate student supports and classroom environments. Only one login option may be used per student. Select a link to jump to the instructions for each login option. Creating a simplified password will allow teachers to place a login link on a computer or device that a student can open for independent access to their Student View. Students must have ‘student login’ enabled to gain access to the monthly lessons in Student View. Teachers can enable student login for an individual student, or all of their students at once. Navigate to the My Students section in Unique Learning System using the menu in the upper left-hand corner. Set Login Settings to Simplified Password. Type a password in the Enter Password box. Retype the same password in the Confirm Password box. Select the Set New Password button. Select multiple students by selecting a student and then checking the box below each avatar. Select all students by choosing the Select All Owned Students button. To create random passwords for each student, select Auto-Generate Password and then select the Enable Text Password For Selected Students button. n2y recommends taking a screenshot or otherwise noting the passwords for each student during this step. To create individual passwords for each student, toggle off Auto-Generate Password and enter a password for each student. Teachers need to create a link custom to their classroom for student logins. A shortcut can be added to the desktop or homepage of each device. Select the Create Student Login Link for Classroom button located on the right-hand side of the page. Select the Add New Link button. Newly created, as well as previously generated links will appear in the Student Login Links section. Follow the instructions on the Your Student Login Link window to copy the link, view directions to make a shortcut or delete the link. Note that classroom login links expire one year after creation. New links are required each year for every device that uses student login links. Once a link has been added to a device, student sign-in is simple. 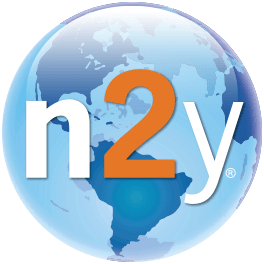 Note that teachers must be logged out of n2y.com before students can log in. Enter the student’s password and select Sign In. Students will now be able to access their student view. Open My Students from the Unique Learning System menu. Select a student and choose Username + Text Password from Login Settings. Enter the username and select Check Availability. Note that usernames can only be used once. n2y recommends using Student ID, email or name as a username when possible. Once a username is applied, enter the password for the student. Once a Username + Text Password is created, students can log in to their personalized dashboard. Visit n2y.com, select sign in and then select Student from the pop-up window. You can also visit student.n2y.com to log in directly. Enter the username and text password combination and select the Log In button. The student will now have access to their Student View. Students using devices with a camera may benefit from logging into Unique Learning System with a QR badge. The QR badge does not require a text password and can support students who need alternative login methods. A QR code will be active for 300 days and will allow a teacher to print a QR badge which includes an avatar, first name, QR code and expiration date. As with the Username + Text Password option, a QR badge can be used to log in to student.n2y.com. Select the Create New QR Badge button. Once a badge is created, a pop-up window will display with the badge and an option to print. Print the badge to allow QR access. Select multiple students or choose Select All Owned Students to create multiple QR badges. From Login Settings, select Create New QR Badges For Selected Students. The pop-up window will display the badges for the selected students. Up to 4 students can be added to one page for ease of printing. Once the QR badge is created, students can log in to their personalized dashboard. On the login page, select the Enable QR Code Scanning button to allow QR badge login. Hold the QR badge to the camera and position the QR code in the box on screen to login. The student will now be able to access their Student View! How Do I Edit My Student's Information?